On Jan. 16, the Green Fund-sponsored O2GO was installed at Northern Arizona University—the only university in the state to implement the reusable container program. Each year, NAU accounts for more than 942 tons of recycled waste, with even more going to the landfill. This program, which allows students to purchase, return and reuse containers, hopes to eliminate a lot of that waste. For a one-time fee of $5, students may purchase an O2GO container from several dining locations on campus including Star Ginger, Turnip the Greens, Cobrizo’s, G’s NY Style Deli and Denny’s. Meals are then packaged in the containers for students to eat on site or take to-go. 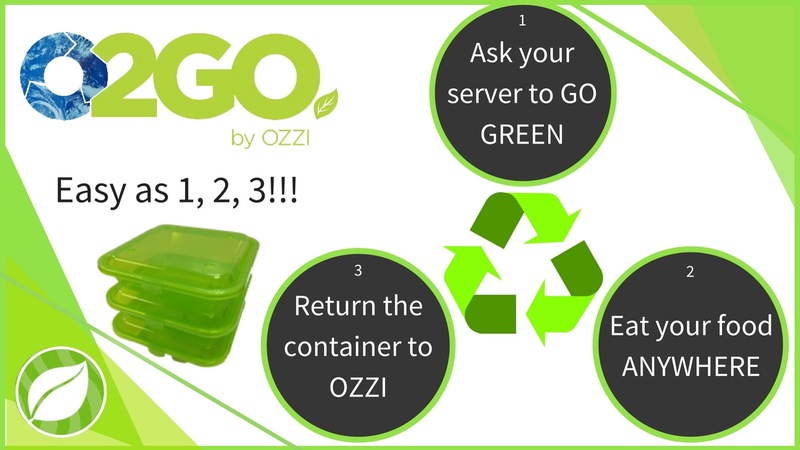 After the container is empty, it can be returned to the OZZI machine in the University Union. In exchange, a gold token will be dispensed that may be redeemed for reusable containers, again and again, providing students a convenient and sustainable way to make a positive impact on the environment without the hassle of having to wash their dishes. The OZZI system installed in Union Point will act as a pilot to gauge students’ interest in the program. Should it continue to be a success, future OZZI locations could include the du Bois Center on south campus, with the possibility of a similar system being installed for reusable coffee cups at various Starbucks on campus. I would like the opportunity to donate money to this program to pay for students who would like to participate but who feel they can’t afford the extra cost. Or to help pay for the ongoing cost of the program. That is so great to hear! Your information has been passed on to the Green Fund chairs who are heading up this project. They will be in contact with you. This is great! How can I share the article to social media? Feel free to copy the URL (http://news.nau.edu/o2go/) and paste it into whichever social media platform you hope to share this on. Are these the same containers that I bought from the Green Scene in HLC? I bought mine from them years ago (I’m an employee) and have been waiting for the rest of NAU to catch up to the idea. It would be nice if I didn’t have to get a new container. 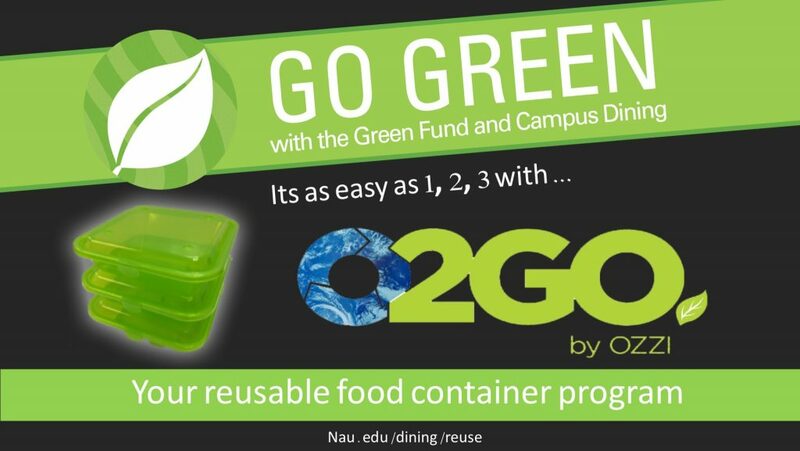 My name is Genevieve Conley and I with the NAU Green Fund that helped to implement the new OZZI reusable container program. This program has specific O2GO containers that have barcodes on the bottom. These allow you to scan the container into the machine in the Union. Therefore, you would unfortunately have to buy into the program again for $5, but you will likely not have to do it again as we are hoping this program will be implemented throughout campus within the coming years.